180 pages. 275x215mm. Printed on gloss art paper, casebound with printed board covers. 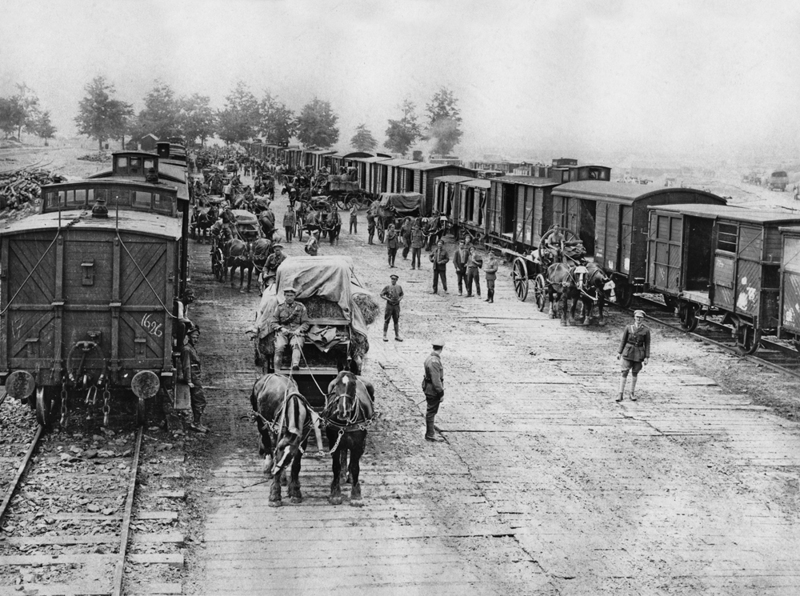 The First World War was essentially a ‘Railway War’. Indeed, in no major conflict before or since have railways played such a significant role, not just as an essential logistical arm, greatly assisted in the final year by the introduction of Train Ferries running across the English Channel but also in being invaluable in certain operational tasks. 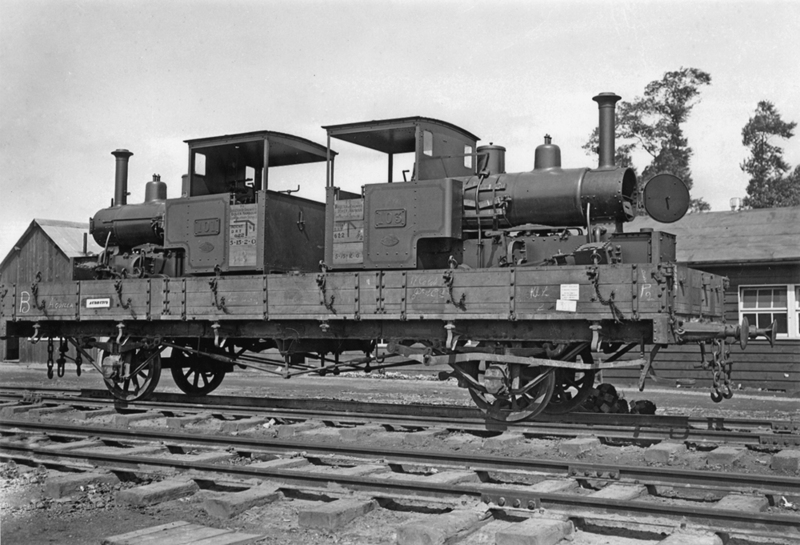 The new-fangled tanks could only be deployed by rail, whilst rail-mounted heavy artillery became an integral element of the firepower available to the combatant forces and, on a different level, the British Ambulance Trains set unprecedented standards of care. 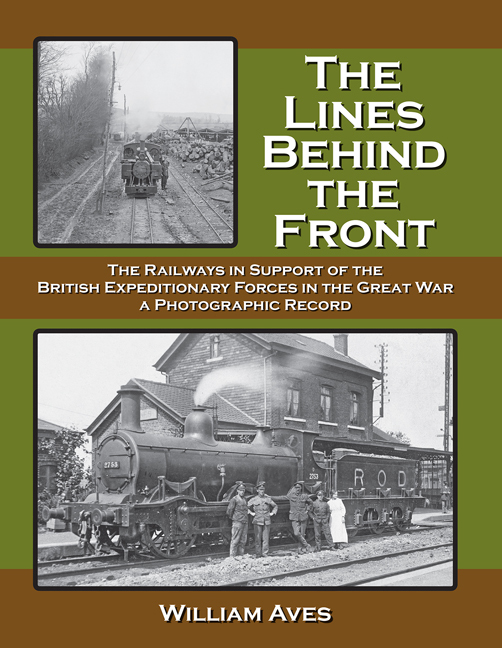 These factors and many more are covered in this book, including the use of the War Department Light Railways nearer the Front Line, along with the varied selection of elderly locomotives provided for war time use by British, Belgian and French railway companies, which were to be supplemented by newly built engines from the UK and the USA. All of these aspects are illustrated within these pages in a comprehensive collection of photographs, the majority of which have not been published before. These include numerous images of the role played by the Australian Railway Operating Companies, as well as recently unearthed pictures of ROD activities in Palestine. One hundred years after its formation, this book provides a fitting tribute to the work of the Railway Operating Department and the many aspects of railway support given to the British Expeditionary Forces on the Western Front and elsewhere during the First World War.